Having a business website optimized for the search engines can literally be the difference between reaching success, or failing miserably because you can’t get enough traffic in front of your sales page. However, not all SEO content practices that are out there will add value to your site. In fact, some of them can decrease your search engine rankings. 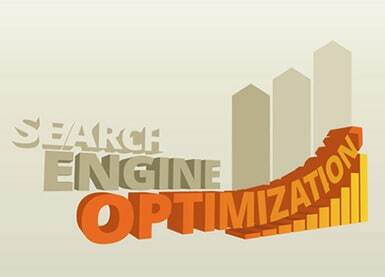 So read on for what you need to know about content creation relating to your SEO efforts. Content can be over-optimized when the keyword density of some phrases is just too high. Some websites still pay a lot of attention to Keyword density, but the real focus should be on the quality of the content, not artificial metrics such as how many times you use a certain phrase. Another example of content optimization is when you bold your keywords every time you use them. Doing it a few times is acceptable, but to do it with every instance when the word is used will only land you with a penalty by receiving a hit in the rankings. The Google Panda update has ensured that poor quality content for highly ranked websites is a thing of the past. Some web pages might still be lucky enough not to be noticed but for the most part the algorithm change has removed a lot of the poorly written content from the top of the search engines. The first Panda update occurred on February 24th 2011 and the last one on September 28th 2011. In between, there were 5 other updates and all of these tackled the different issues relating to content optimization and other website elements. For example, if the same keyword was used in the URL, homepage heading, alt tags and many times in the text then it would have a negative effect on the rankings. Search engines nowadays can detect the freshness of content which means that if your content becomes old your rankings could drop as fresher content appear for a particular topic. This isn’t always true because authoritative content that users have come to know and love will not be removed from the top of the pile so easily. Fresh content can include any news stories in your niche, or even a write up on a new product that has come out. The point is to provide new information as opposed to regurgitating something that is already out there on countless of other websites. The search engines will see no reason to put similar content in their search results, especially if your website isn’t as good as that of your competition. One way that the search engines detect the level of user engagement with your content is the amount of social shares that each page receives. The more your pages are shared the better their standing will be in the eyes of the search engines, resulting in higher ranking. In addition to reading high quality content you must put the social buttons in places where they are easy to spot as otherwise your users will not share your pages with their social circles simply because they can’t spot the share buttons. Furthermore, you could nudge the readers in the direction of the social share buttons with arrows or simply at the end of the article you could ask the reader to click on the share buttons if they enjoyed the article. Things like keyword stuffing are bad because you can get a penalty from them. Also, focusing too much on keywords while you write the content can result in a writing style that is obviously not natural, which degrades the user satisfaction levels. However, you should still give some consideration to keywords because simply put, if you want to rank from certain keywords then it is a good idea to include them in the content. Adding the KWs once or twice on a page is sufficient enough, you don’t need to follow some kind of keyword density rule as that will not do much to increase the quality of your content. These are just some of the content creation concepts that you need to be aware of that most good quality websites are already applying. In the future more algorithm changes will be done to the major search engines that will cause webmasters to change their approach to the content side of SEO. Therefore, stay up to date on the SEO trends that are taking place so that you know how to adapt to the ever changing landscape.